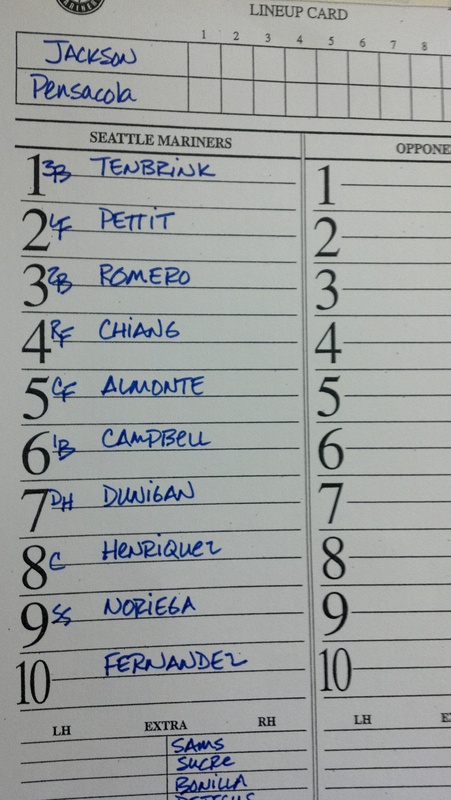 TODAY’S GAME: The Generals continue their series in Pensacola tonight, with game 3 of the 5 game set at Maritime Park. The series is tied at 1-1. Jackson leads the season series against the Wahoos 7-5. Jackson is 3-4 in games played in Pensacola this season. LH Anthony Fernandezmakes his 2nd Jackson start. 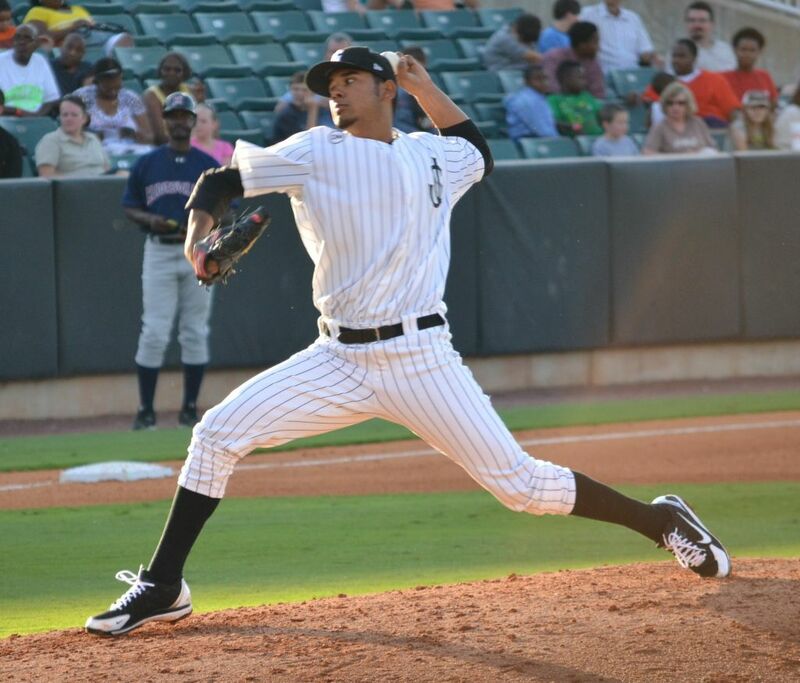 Fernandez tossed a complete game last Saturday in his Double-A debut against Huntsville. GENERALS RECAP: Blue Wahoos’ starter Tony Cingrani struck out a Pensacola record 15 batters en route to eight shutout innings pitched as Jackson fell, 5-0. The Wahoos lefty faced just one above the minimum on Wednesday at Maritime Park. Cingrani tossed did not allow a General to reach base safely until 3B Leury Bonilla singled in the seventh with one out. The Pensacola win evened the series at 1-1. Jackson starter RH Forrest Snow (0-2) retired 12 in a row after a 42 pitch first inning, but still took the loss. In 4.2 innings, he allowed two runs on three hits (all in the first inning), while striking out two and walking three. Cingrani (2-1) earned the win striking out 15 and walking one over eight innings pitched. Cingrani allowed three hits. 2B Stefen Romero was 0x3, and had his 6-game hitting streak come to an end. No Generals recorded a multi-hit game. TOPS IN THE LEAGUE: The Generals 46-31 record is the best in the Southern League. Also, Jackson ranks first in pitching, with a 3.13 ERA. Jackson is T-2nd in the league in batting, with a .262 team average. The Generals lead the league with 57 home runs and rank 2nd in the league with 85 stolen bases. HOT HITTING ROMERO: INF Stefen Romero has hit safely in 6 of 7 games and 5 multi-hit games with Jackson since his promotion from High Desert. During this stretch is batting .423 (11×26) with 4 runs scored, 3 doubles, 1 triple, 1 home run and 8 RBI. Combined Romero is batting .367 this season. WHO’S HOT? : OF Chih-Hsien Chiang has hit safely in 10 of 11 games with 6 multi-hit contests, batting .349 (16×44) with 3 runs scored, 7 doubles and 11 RBI. Chiang has a 6-game hitting streak. -> INF Eric Campbell has hit safely in 7 of his last 8 games, batting .333 (10×30) with 8 runs scored, 2 home runs and 2 RBI. -> RH Yoervis Medina has not allowed a run in his last 15.0 innings over his last 10 relief appearances (since May 25).During this stretch he has lowered his ERA from 7.83 to 4.74, while limiting opponents to a .192 (10×52) with 6 walks and 15 strikeouts.